While the Art & Design Department is relatively small compared to others at Cal Poly, there are many extracurricular opportunities for students to get involved in to expand their artistic skills. Behold .RAW magazine, a student-run magazine that showcases art and design students’ original artwork and photography. 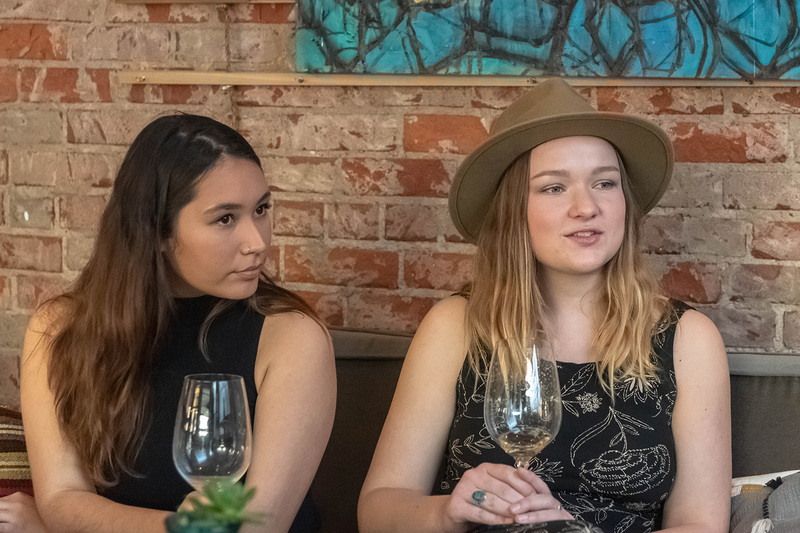 The magazine is published quarterly, and a release party was held at a local wine bar called The Station on March 14 to celebrate the latest winter issue. It is a voluntary magazine and students get hands-on experience with editing and layout design. Along with the original artwork and photography, there are also a few paragraphs on each section that explain the artists’ intentions and inspirations. There is a small submission fee for students willing to participate in the magazine, which helps pay for printing costs, but this cannot cover all expenses. 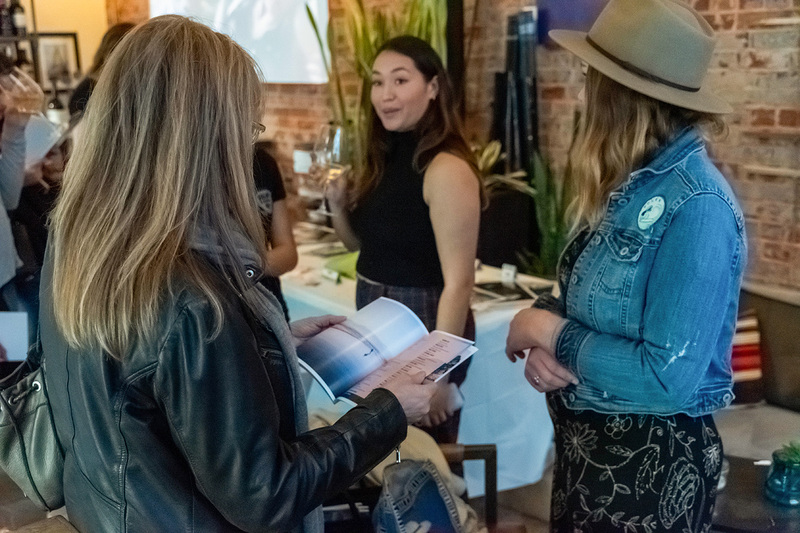 In order to keep the magazine free for customers, art and design seniors Kaiya Peralta and Hannah Travis, who serve as editors-in-chief, sold additional items at the release party like t-shirts and photograph prints. The magazine began in 2017 when art and design alumna Noelle Merrihew decided to take her editorial photography project beyond the classroom. “The professor asked us if we wanna help just because she recognized that we have kinda similar style to each other and to Noelle who created it and just kinda matched us up together,” Travis said. Travis and Peralta were assistant editors for two quarters before making the transition into editor-in-chief positions, which helped prepare them for the demands of the job. Peralta also comes with a strong passion for photography already under her belt. Her first toy was a Barbie camera, and she has been taking pictures ever since she was six years-old. She grew up in Los Angeles and was raised by a father who works as a photographer director for off-road racing and extreme sports. Peralta said she appreciates her father’s constructive criticism and thinks it has helped improve her work. “It’s made you a perfectionist,” Travis remarked to Peralta. Peralta said she thinks there is no shame in this, perhaps a little remorse for all the extra modeling clothing she has gathered in her closest over the years. She likes to control every aspect of her shoots, including the fashion the models wear. Peralta likened these expenses to the prices students pay for course materials and books. Surely, there is a reward for artists who push the boundaries of their artwork. Every year, there is an annual edition of .RAW magazine which features the strongest work submitted by students from each quarter. Art and design professor Lana Z. Caplan, a faculty adviser for the .RAW magazine, makes the selections for the annual release. 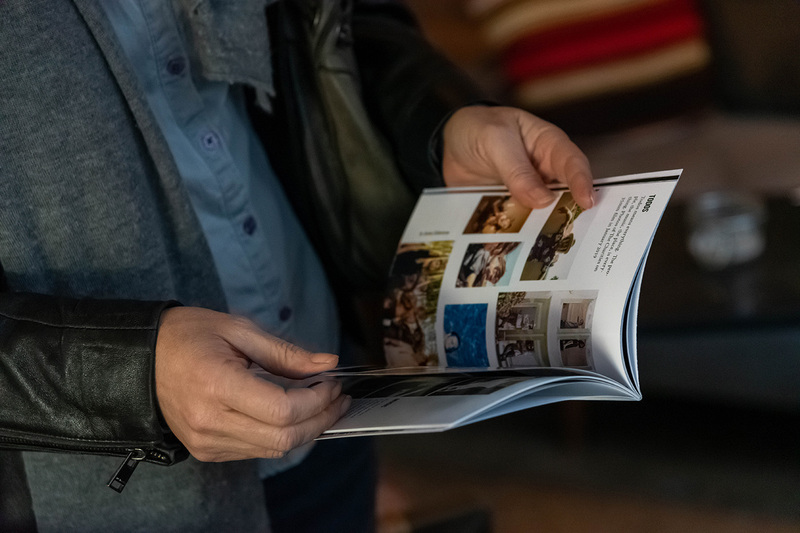 Even if students are not selected for the annual release of .RAW magazine, they can still impress future employers with a resume that boasts they were published on an official release. All releases are available on Cal Poly’s digital commons archives. Additional copies of .RAW are available in the photo lab in Walter F. Dexter (building 34).